“We are born with only one obligation – to be completely who we are.” The wisdom behind these words by poet and teacher Mark Nepo in The Book of Awakening hit me as I reflect upon the one thing I learned from the death of my very dear colleague, Jeanne d’Arc Mihigo, AJWS’s country consultant in the Democratic Republic of Congo (DRC). On Friday, July 8, 2011, thousands of miles away from the Starbucks coffee shop I am sitting at, Jeanne’s life was claimed in a plane crash in Kisangani, central DRC. She was flying home on a local airline from Kinshasa, where she was doing work for another international agency. Hewa Bora Airways, the passenger plane she boarded, seemingly missed the runway while landing during poor weather conditions. Early news sources reported that more than two thirds of the 112 passengers perished during the crash. Over the following two days, contradictory declarations about the number of survivors and casualties surfaced in the news. Difficulties in accounting for all passengers, given that the plane crashed in a forest, were among the reasons for the contradictions. Some bodies were not identifiable. The most shocking news came from the difference in the number of passengers reported by the government and the airline company, leaving me to wonder if the airline even had a list of passengers. Hewa Bora Airways is on the European Union airline blacklist over safety concerns. Why this airline was allowed to operate in the DRC, even after another crash in 2008 and three previous accidents, remains a question. Jeanne and I just clicked. Or, may I say, I felt drawn to her for reasons I cannot explain. Before meeting her, I knew we had something in common – we went to the same college, the School for International Training (SIT), in Vermont – but I didn’t know what to expect from our encounter. As I walked to see Jeanne off after the formal interview, I found myself sharing with her something I have struggled with over the years: my decision to leave Burkina Faso and stay in the U.S. after completing my graduate studies. I admired Jeanne’s courage and her bold decision to come back home to Goma, choosing to work as a freelance consultant so she could take care of her family farm and live near her mother. As I reflect on the last six months during which we worked closely, I can’t help but ponder the meaning of the brief encounter I had with Jeanne. The words that come to mind when people asked me about her after I shared the news of her tragic loss at the early age of 41 are excellence, confidence and purpose. Jeanne conducted the work she did for us at AJWS with excellence. She was an intelligent and compassionate colleague, and a tremendous support to me and to our partners in the DRC. Even though she worked for us for only six months, she made incredible contributions to our work. Jeanne reviewed our DRC country strategies and carried out capacity assessments of all our partners, helping us deepen our relationships and our work in the country. She also identified three new partners that AJWS will begin supporting this year. I enjoyed reading her straightforward reports with insightful observations and recommendations about the work on the ground. She was full of ideas for ways to improve our grantmaking practices and systems so we can become a better catalyst for social change in the DRC. Jeanne brought many years of experience to bear on her work with us. In 1998 she relocated to Rwanda following an episode of deadly violence in eastern DRC during which she lost two siblings. As she rebuilt her life in Rwanda, Jeanne worked for World Vision, the Canadian International Development Agency and the Swedish International Development Cooperation Agency. Seven years later, she pursued a master’s degree in sustainable development in Vermont. 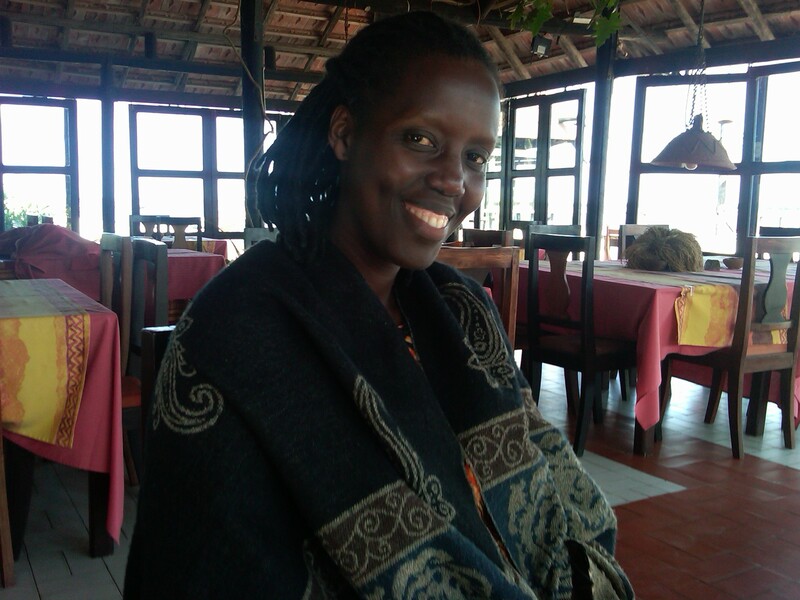 Upon graduating and returning home, Jeanne devoted her time to working with community groups and carrying out evaluation and research projects in Rwanda and eastern DRC. This capacity of Jeanne d’Arc to open up space for others swayed me, too, the very first time I met her. I have a surge of emotions as I reflect about her sudden death within eight months of knowing her, and I think she left me with one of the most significant experiences of loss I’ve had in my adult life. For one thing, she taught me to value and honor every interaction and encounter I have. I spoke with her the night before she passed away. It was a short conversation about a trip she was going to take to the U.S. in the fall. 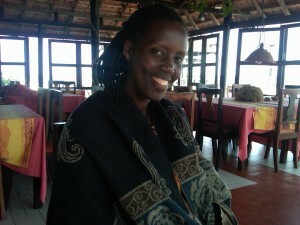 Toward the end of our conversation, we both laughed because I teased her about her hectic travel schedule and said that our travel agent would have to invent non-stop flights from Rwanda to the U.S. just for her. I’ve struggled to remember the rest of our conversation and whether she told me she was going to take that fatal fight. What I remember clearly is the sound of her laughter. Jeanne lived with purpose. She deliberately shaped her career and personal life along her own arc when she journeyed among us. She was completely herself. Learn more about Jeanne’s work in eastern DRC, please check a case study she wrote as the topic of her master’s thesis.